Beginning on April 2, 2016 you will see a new cruise sailing the Columbia River. 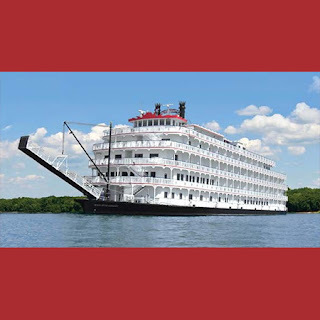 American Pride, a 150-passenger, authentic paddle wheeler, is moving from its present location on the Mississippi River, and making its debut on the Columbia River this spring. American Pride will join the veteran Queen of the West cruise, and they will both sail the waters of the Columbia and Snake rivers. The American Pride will boast the largest staterooms on the Columbia and the Snake. All suites offer expansive views (from anywhere within the stateroom) of the Columbia River Gorge’s lush landscapes, volcanic Mount St. Helens and brilliance of Multnomah Falls, on the route pioneered by Lewis and Clark over 200 years ago. There’s an abundant selection of all-inclusive onboard features: finely styled mahogany clad lounges, complimentary cocktail hours and locally celebrated musicians. American Pride will offer 7 to 10 day cruises starting April, 2016.